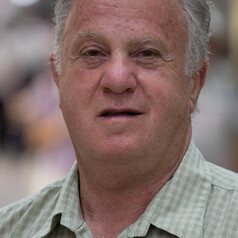 Dennis Raphael's 300 scientific publications focus on the health effects of living and working conditions, the quality of life of communities and individuals, and the impact of government decisions on Canadians' health and well-being. Dr. Raphael is editor of "Social Determinants of Health: Canadian Perspectives" (in 3rd edition), co-editor of "Staying Alive: Critical Perspectives on Health, Illness, and Health Care" (now in 2nd edition) and author of "Poverty in Canada: Implications for Health and Quality of Life (also in 2nd edition)", all published by Canadian Scholars' Press. "Health Promotion and Quality of Life in Canada: Essential Readings", an edited collection was released in January 2010 and "About Canada: Health and Illness" has been published by Fernwood Publishers. "Social Determinants of Heallth: The Canadian Facts" (co-author) is a primer for the Canadian public has been downloaded over 700,000 times and is available at http://thecanadianfacts.org. "Tackling Health Inequalities: Lessons from International Experiences" was published in 2012. Two new books: "Immigration, Public Policy, and Health: Newcomer Experiences in Developed Nations"and the 2nd edition of "Health and Illness" were published in Fall 2016.